Begin your research with the best resources recommended by the subject librarian for history. Here you will find the specialized databases, indexes, reference works, primary source databases, and guides to archival sources for history. Reference Universe indexes the contents of 20,000+ print and electronic reference titles and links to Dartmouth Library holdings. This is an "academic" alternative to Wikipedia. 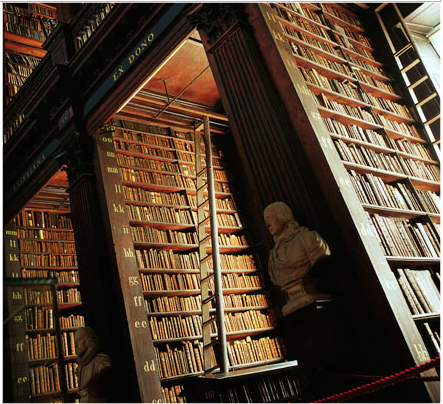 Indexes the contents of 7000+ print and electronic reference titles. The notes and list of sources (primary and secondary) cited by scholars in their books and journal articles are a good place to begin building a working bibliography on a topic. To learn if the library contains a bibliography on a particular topic search by KEYWORD(s) and s:bibliography. "Reference" sources are entres to research. They provide definitions or introductory information of the sort found in dictionaries, encyclopedias, and handbooks. They lead to published or unpublished scholarly writing, or to "primary source" material via library catalogs, article databases, and bibliographies. Their purpose is to answwer factual questions and to help researchers identify and eventually obtain the information needed to investigate and learn about a topic. * There are a few significant differences between the type of sources recommended here and Wikipedia, for example. edited by scholars in the field. • Entries, chapters, etc. are based on broad and deep knowledge of a subject, not on a single source. The Premium Collection offers over 175 fully-indexed, cross-searchable dictionary, language reference, and subject reference works published by Oxford University Press, including detailed information across a broad subject range from titles in the world-renowned Oxford Companions Series. See Also: Reference Universe for biographical entries in print compilations such as Who's Who in America and many subject encyclopedias. Provides citations to more than 625,000 biographical articles and book references. It compliments "Biography Index" (1984+). Provides a searchable index to the biographical entries in the Allgemeine deutsche Biographie and Neue deutsche Biographie. Includes core biographical data and a reference to the complete entry in the print volume. In addition this site includes full text to the vols. of the Allgemeine deutsche Biographie. The ANB contains concise but informative biographical sketches of more than 17,000 people. Biographical entries are followed by excellent bibliographies listing important archival and secondary resources about the person; relevant web sites are also included for a number of entries. The AANB is constructed along the lines of the ANB, above, and is part of a larger online African American resource entitled the Oxford African American Studies Center. Lengthy biographical sketches of people from all walks of life. Dictionary of Canadian biography online = Dictionnaire biographique du Canada. The Oxford DNB provides concise articles on noteworthy people in all walks of life who died before 31 December 2000. It covers people who were born and lived in the British Isles, people from the British Isles who achieved recognition in other countries, people who lived in territories formerly connected to the British Isles at a time when they were in contact with British rule, and people born elsewhere who settled in the British Isles for significant periods or whose visits enabled them to leave a mark on British life. Biographical entries are followed by a valuable bibliography of "Sources," "Archives," and the location of "Likenesses" (portraits). Sources include biographical dictionaries and who's whos, subject encyclopedias, volumes of literary criticism, and indexes. The total number of biographical sketches indexed by BGMI is now more than 13.6 million. Contains over 3.8 million entries for eminent individuals who lived in North and South America, and Western and Central Europe. The entry for each person contains the name, variations of the name, pseudonyms, the years of birth and death or years mentioned, occupation, source quoted and bibliographic information about the sources used. The index provides references to biographies appearing in print sources. To locate the full biographical sketch search for the source title in the library catalog. Boston : Bedford/St. Martin's, c2010. The information-literate historian : a guide to research for history students / Jenny L. Presnell. xiv, 242 p. : ill. ; 22 cm. From reliable sources : an introduction to historical methods / Martha Howell and Walter Prevenier. viii, 207 p. ; 23 cm.